* Comments will appear after approval. Please wait until it is approved. I can’t speak much Japanese so I write in English. I am 15 yeards old now and I have been interested in WATANABE MAYU for 3 years. I have heard that this is the last time mayuyu takes part in the election. 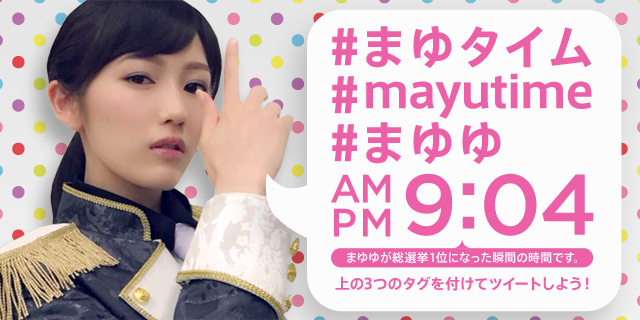 All Mayuyu fans ,show our fights! Me from malaysia! i will go japan vote for mayu ! hope she get back 1st in this year ! This is the last time! Try our best! No regret! Only in this way can we win!